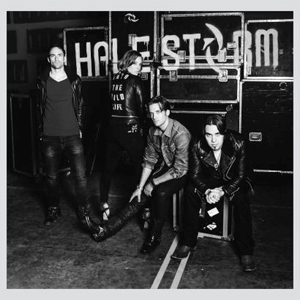 Grammy Award-winning band HALESTORM has premiered the music video for their new single “I Am The Fire”, and you can check it out now on KNAC.COM right HERE. “I Am The Fire” is the third single from HALESTORM’s third studio album Into The Wild Life, which was released in April this year. The first two singles, “Apocalyptic” and “Amen” both hit No. 1 at active rock radio, the former marking the first time a female-fronted band has scored No. 1 hits at the format three times as well as the first to have No. 1 songs from two consecutive albums. Lzzy Hale is also teaming up with the Recording Academy, alongside Sam Hunt and Big Sean, to help shine a spotlight on undiscovered singers through the Grammy Amplifier program; read more HERE.